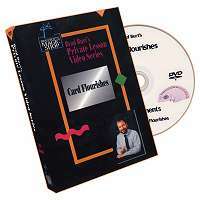 A Master Magician Reveals a Lifetime of Secrets for the Very First Time on Video! Paul Potassy has been called "a master of magical minimalism with maximum impact." He has performed for 66 years in 44 different countries, for celebrities, heads of state and even the Pope. He speaks six languages fluently and has been called "the Maurice Chevalier of magic" and "Europe's most successful cabaret magician of the last fifty years" by famed British magic producer John Fisher. 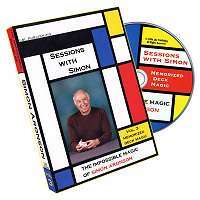 In this very special DVD set, you're about to meet an extraordinary man and watch and learn the thoroughly entertaining and baffling material that came of his lifelong love affair with magic. Top-name magicians flew in from all over to witness this monumental event – Paul Potassy committing this material to video for the very first time – and you're about to see why. In Volume One, you'll see the act that made Paul Potassy's international reputation. Then, you'll get to meet the man himself as you're treated to an in-depth interview conducted by Max Maven. In Volume Two, you'll learn the diabolical details of the Potassy act as each trick, including every detail of its preparation and performance, is laid out in exacting detail. Finally, in Volume Three, you'll be treated to more magic from Potassy's vast repertoire. Then, after you're left shaking your head following the performance, you'll be taken backstage and shown the inner workings of these extremely strong performance pieces. SYMPATHETIC SILKS – One of Potassy’s signature effects and the one he always uses to open his show. Two sets of scarves mysteriously tie and untie under increasingly humorous conditions. For the finish, all the scarves instantly tie themselves together! THE RAZOR BLADES – An amazing updating to a classic effect of magic. The performer apparently swallows a large number of sharp razor blades and a length of thread. When the thread is pulled from the mouth, the razor blades are seen tied to it. PICKPOCKET – Under the guise of helping with a card trick, two spectators find themselves in a hilarious situation as the performer repeatedly produces cards from their jackets and pockets. The performer then begins to produce personal items that he apparently lifted from the spectators, ending with an amazing wristwatch steal. NEWSPAPER TEAR – A section of newspaper is torn into pieces and then restored. The performer offers to explain how it’s done but the explanation leaves the audience even more amazed and baffled! BILL IN POTATO – A borrowed bill is initialed, the serial number noted and then subsequently vanished. It is miraculously found to be in the middle of a potato freely chosen by a member of the audience! SING-SING – A chosen card, signed by two spectators, is shuffled back into the deck only to be found not just in the performer’s wallet but between two metal plates that are completely sealed with rubber bands in both directions! THE PREDICTION – One spectator chooses a book from a stack of normal paperback books and a word from that book while another chooses the name of one of the world’s great cities. The performer opens an envelope that was in plain view throughout the performance and it’s found that he’s correctly predicted both spectators’ choices! THE CARDS IN THE BUCKET – A card is selected and shuffled back into the deck and the cards are then cascaded into a champagne bucket. The performer lowers a length of rope into the bucket and when he pulls it back up, the selected card is found to have been lassoed. THE ENCORE CARD STAB – A card is chosen and after it’s lost back into the deck, the cards are spread face down on a table. The performer is blindfolded yet manages to find the card by impaling it on the tip of a knife. POTASSY INTERVIEW conducted by Max Maven – Meet the man behind the tricks as he talks with Max Maven about his life, his inspirations and how magic literally saved his life. 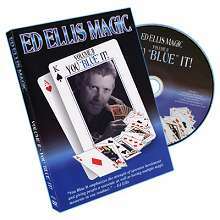 It’s a fascinating journey into the heart and soul of one of the world’s best magicians. Volume Two – Explanations It’s all here—everything you need to know about the wonderful effects performed in The Paul Potassy Show on Volume One. Potassy dissects every one of these tricks, showing you all of the nuances that make each one of these pieces a showstopper. These are the effects that made an international reputation for Paul Potassy and now they’re all here—for you! BILLFOLDING – An astounding and extremely visual bill change with no gimmicks that can be performed surrounded. This is Paul Potassy’s favorite close-up effect! CARD IN GLASS – A new and novel way to reveal a selected card. A chosen card is shuffled back into the deck which is then placed into a drinking glass. When the glass is inverted, all of the cards fall to the table . . . except for the selection! CARD ON FOREHEAD – Another entertaining way to reveal a chosen card. A card is selected and returned to the deck. The performer and spectator both place their hands on their foreheads as the performer attempts to read the spectator’s thoughts. The performer successfully names the selected card and when he lowers his hand, the chosen card is on his forehead! UPSIDE DOWN CARD – After a card is chosen and returned, the deck is shuffled with half the deck face up while the other half is face down. At the performer’s command, all of the cards right themselves save for the spectator’s selection. 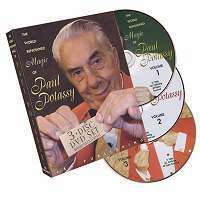 CLASSIC FORCE – Paul Potassy is a master of this elusive sleight and provides not only his handling but subtle tips that will enable you to add this powerful weapon to your own card magic arsenal. You’ll even learn how to accurately and reliably use the Classic Force behind your back! PREDICTION COMBINATION – The performer writes a prediction and isolates it in a drinking glass. A spectator selects a card, remembers it and mixes it back into the pack. A second spectator is asked to think of a small number. The performer reads the first spectator's mind and reveals the name of the selected card. Then, the chosen number is counted down to in the deck to find the actual selection. Finally, the written prediction is revealed to show that the performer had accurately predicted the card from the outset. THINK A CARD – A miracle of card magic. The cards are spread at a spectator's eye level as he invites the onlooker to just "think a card." Though the card is never removed from the pack, the performer is able to name it. Potassy has refined this to the point where it can be repeated several times, making it all the more baffling. CARD THROUGH HANKY – Potassy's version of this magical classic. A card is chosen and returned to the deck, which is then wrapped in a handkerchief. The performer takes the ends of the handkerchief, gives the bundled deck a shake, and the selected card apparently passes right through the center. POTASSY BRAINWAVE – A spectator, chosen by the roll of a die, calls out a card that is found to be the only card reversed in an openly-displayed deck. This is repeated again with the same inexplicable result. THE CARDS ACROSS – A small packet of cards is divided among two spectators and the performer magically passes cards between them while the spectators are holding onto, and even sitting on, the cards. Learn how to make this classic trick play even for a large audience. THE CARD IN THE CIGARETTE – Another reputation maker! A chosen card is torn into pieces. One piece is held by a spectator while the others are vanished. The card is miraculously found rolled up in a borrowed cigarette which was segregated in a drinking glass even before the card was selected. And, yes . . . the piece is fitted to the card for verification! TEN CARDS TO POCKET – A showpiece with just a few playing cards that will play for the largest audience! Cards mysteriously and invisibly travel from the performer’s hands to his pockets. Also, Potassy, along with Jeff McBride, demonstrates some unique card manipulations and provides some insight into how to construct a versatile and durable magic table.